If a window is cracked but still intact, crisscross the window with masking tape in order to reduce the risk of damage or personal injury. Before cutting out a stationary window, apply a double layer of masking tape around the perimeter of the painted surfaces and inner trim. Open the rear compartment lid. 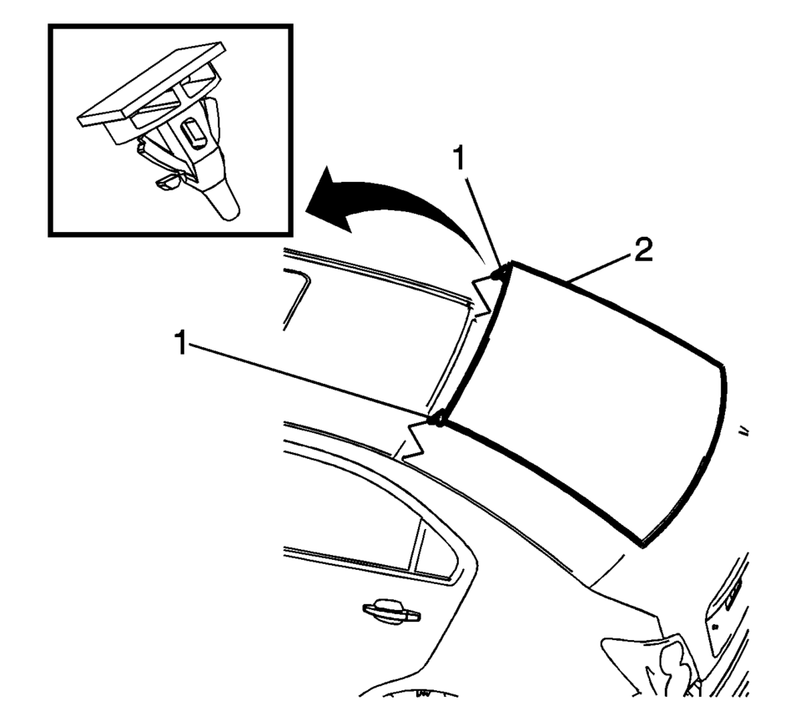 Disconnect the rear window defogger electrical connectors. Disconnect the OnStar?® antenna, if equipped. Disconnect the rear window radio antenna connector. Remove the rear window reveal molding. Refer to Rear Window Reveal Molding Replacement. Leave a base of urethane on the pinchweld flange. The only suitable lubrication is clear water. BO-24402-A Glass Sealant Remover (Cold Knife). BO-39032 Stationary Glass Removal Tool. 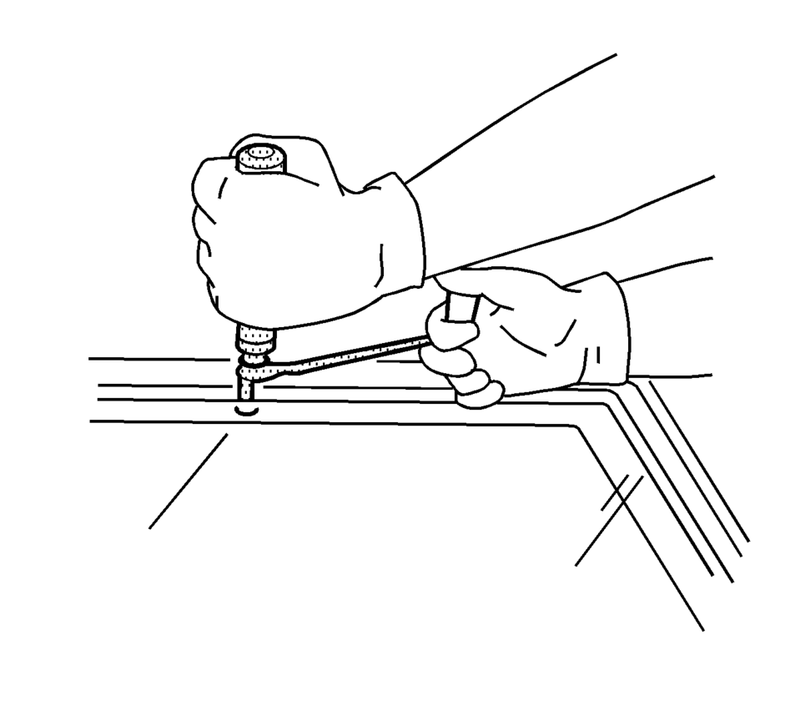 Use the appropriate tool to remove the bottom of the window from the auto-adhesive. 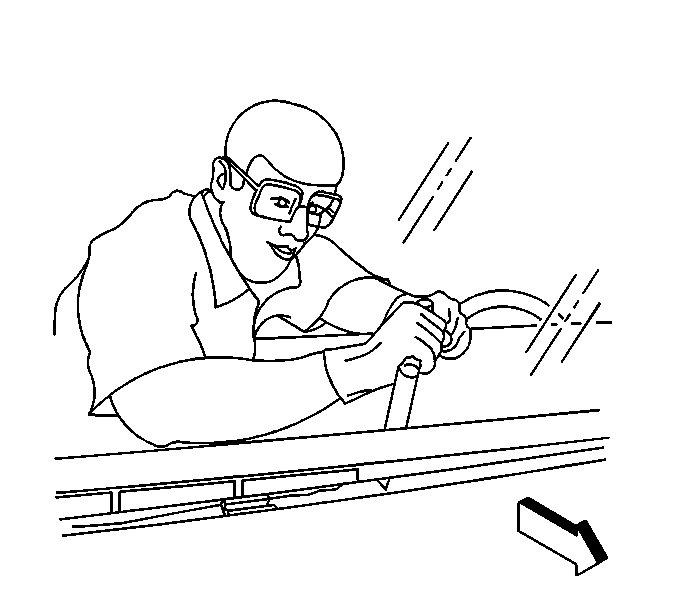 Keep the cutting edge of the tool against the window. Do this from inside the vehicle. Install the rear window into the opening. Refer to Adhesive Installation of Rear Windows. 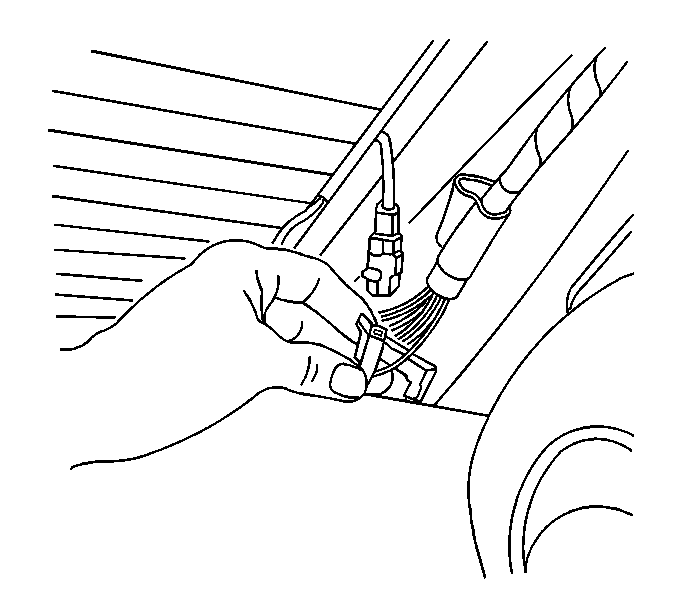 Connect the rear window defogger electrical connectors. Install the rear window radio antenna connector. Connect the OnStar?® antenna, if equipped. Check the radio and OnStar?® system to verify reception. Close the rear compartment lid.